iPhones are not cheap gadgets. It is so easy to damage them if you are not too careful. Cases such as the XGear Fortress 2 are designed to protect your phone against bumps without taking away from your iPhone experience. The XGear Fortress 2 case has been built using aircraft grade 6061 aluminum and does not weight a whole lot. The case does not interfere with your phone’s reception. The sliding bottom makes docking your phone convenient. You will still have access to all the ports and buttons on your phone. The Fortress 2 case also includes a bottle opener. Your kit will include aluminum home buttons too. 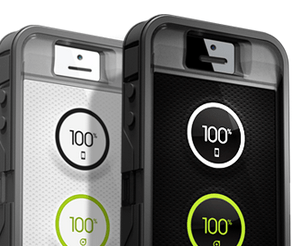 This tough case will cost you just under $100. Light meters are very useful tools for photographers who want to capture perfect photos in every condition. We have already covered a few top light meter apps for iPhone. Luxi for iPhone could prove helpful too. It is a cool gizmo that fits over your iPhone’s front-facing camera to help you determine the best settings for DSLR and advanced camera. Luxi measures the amount of light falling on the subject you are photographing. It can serve as a more accurate light meter when used with your smartphone. You are going to have an easier time avoiding over/underexposed photos with this. This exciting project is being funded through Kickstarter. It has already met its funding goal which is exciting.